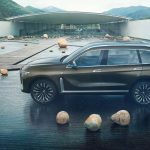 Asianauto.com » ​BMW Concept X7 iPerformance for the first time in South East Asia. 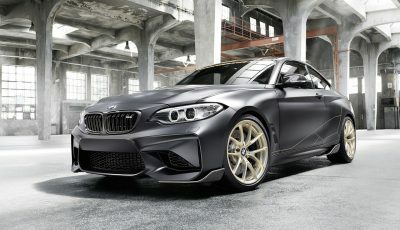 “The progressive take on luxury is closely linked to the number 7 in the BMW model scheme. 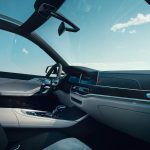 The BMW 7 Series luxury saloon has served as a paragon of exclusive driving pleasure for over 40 years now. 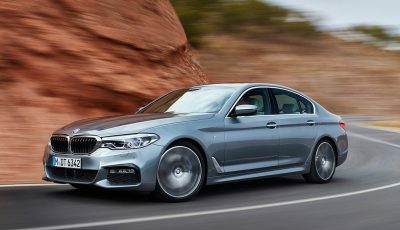 Game-changing innovations, benchmarking comfort and contemporary design and dynamics mark out its progressive character in the current family of luxury BMWs. 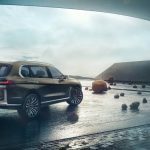 Taking it a level higher is the BMW Concept X7 iPerformance which introduces the BMW Sports Activity Vehicle DNA into the luxury segment,” Harald added. 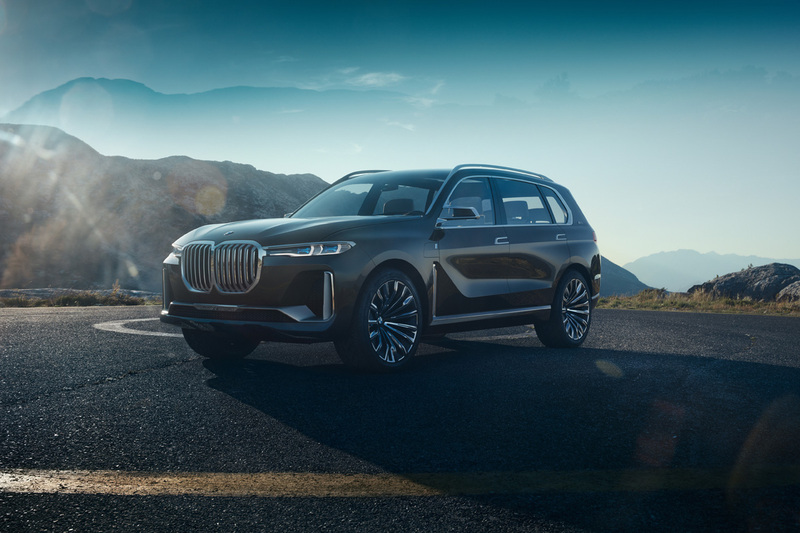 The BMW Concept X7 iPerforrmance pushes the envelope and embodies the new understanding of luxury in the form of a striking exterior composed of intently focused lines. These are combined with a generously-sized, six-person interior pared down to the essentials: elementary forms, high-class materials and a state-of-the-art infotainment system brimming with connectivity. 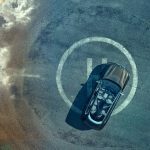 The ‘iPerformance’ badge denotes the presence of the ground-breaking BMW eDrive technology allied with a BMW TwinPower Turbo petrol engine to create an exceptionally efficient and dynamic plug-in hybrid powertrain that excels in all driving situations – including running with zero local emissions. 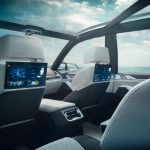 The BMW Concept X7 iPerformance: A new dimension in spaciousness. 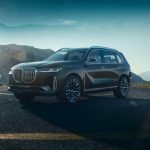 The status of the BMW Concept X7 iPerformance as luxury-class BMW Sports Activity Vehicle (SAV) is instantly apparent. The BMW SAV design language is infused in the exterior with understated use of form and incredibly precise lines, adding an air of finesse and extreme agility to the considerable size and grand proportions of the car. These project the exclusive experience available inside the car confidently to the outside world. 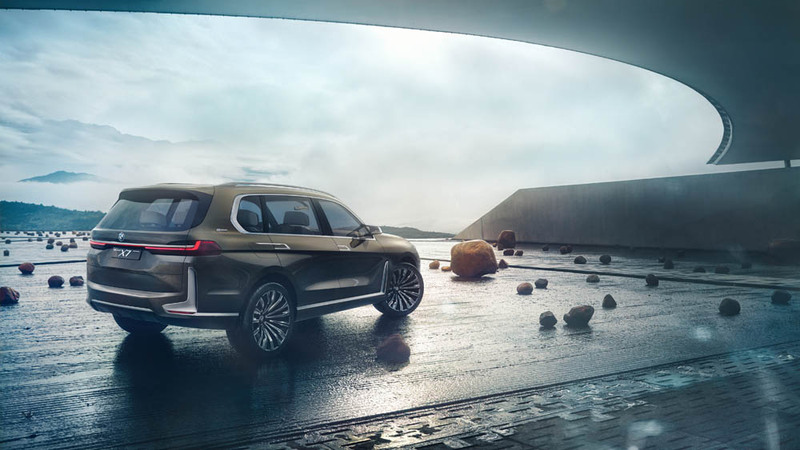 Clear, vertical proportions with significant ground clearance identify the BMW Concept X7 iPerformance as a BMW X model without the need to look twice. The prominent feature on the front-end is the striking vertical kidney grille, the unmistakable BMW signature. The grille frame and bars are single-piece and solid in design. The eye-catching grille and air inlets give form to a strong visual statement, with gleaming edges and matte surfaces bringing out contrasts that add nuance to the grandeur of the design language. 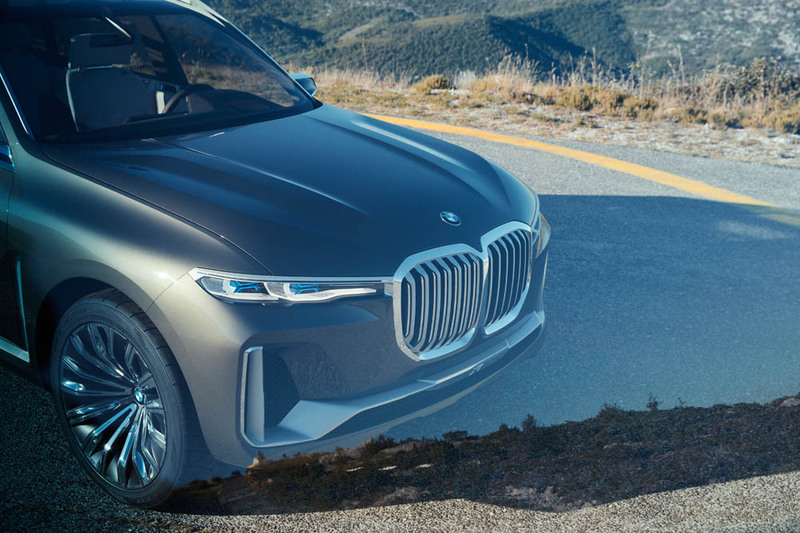 The upper sections of the slim, elongated twin headlights with BMW laser light link to the large kidney grille. A blue X signature in BMW laser light provides a confident pointer to the BMW Concept X7 iPerformance’s membership of the BMW SAV family. A prominent bar extends across the full width of the front apron in its lower section, before rising vertically to frame the outer air intakes at their upper edge. 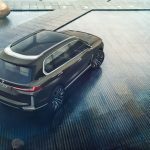 The characteristic ground clearance of any BMW X vehicle and the high-set lines of the flanks also project an athletic silhouette, accentuated by the long shoulder line that establishes the flowy physicality of the car. 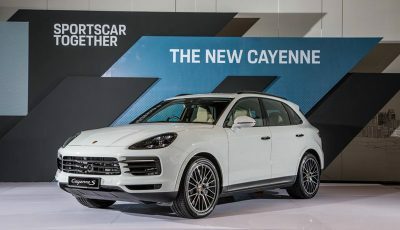 The shoulder line further separates the car’s body into the light and airy glasshouse (which offers a preview of the large interior) and the muscular metal forms. The circular wheel arches – a first in the BMW X series – bring out the sophisticated aesthetics of the flanks. The surfaces gain in volume and strength as they head towards the rear end, further underscoring the subtle dynamism of the car when viewed from the side. A conspicuous chrome strip on the door sills provides an emphasis to the car’s long, stretched shoulder line and sophisticated surfaces below. As with the trim element at the front end, the chrome strip in the car’s flanks frames the Air Breathers in a vertical accent, before continuing in a straight line to the rear end. The exclusive exterior colour shade Manhattan metallic immerses the car’s surfaces and forms in a dark olive-bronze that highlights the confident styling of the flanks with sophisticated flair. A view of the rear perfectly captures the spatial immensity of the car. Its vertical aero lips as well as subtle, body-coloured under guard form a striking frame for the rear. The silhouette is punctuated with slim rear lights with its sharp three-dimensional L shape, and a classy connecting chrome bar, which bring a technical, high-quality aspect to the rear. Between the wheel arches, the rear apron with practical tailgate opening provides a strong platform for the rear structure. 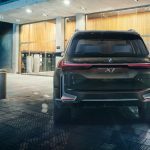 The BMW Concept X7 iPerformance’s plug-in hybrid identity is also alluded to by the absence of tailpipe embellishers. Additionally, the rear apron with practical tailgate opening shores up the rear structure with a solid aesthetic. Generous space and luxurious comfort in the interior. 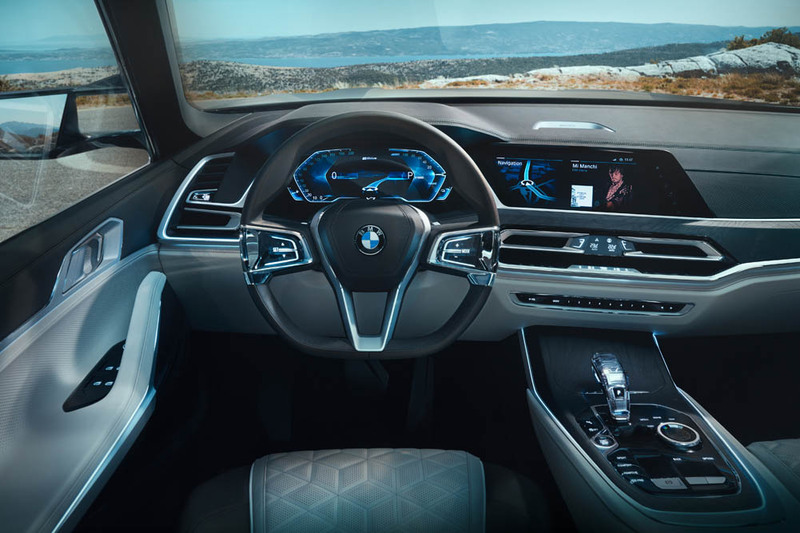 The sheer spaciousness of the interior of the BMW Concept X7 iPerformance spells superlative comfort with highly exclusive, sophisticated ambience. 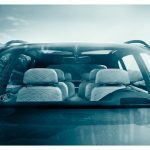 Additionally, the large panoramic roof provides a remarkable amount of room above the occupants’ heads. The six amply proportioned seats are arranged in three rows, and four of them have an exclusive individual design. 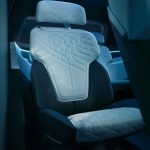 The second row allows smooth access to the third row, and the slender seat base provides generous legroom for the passengers behind. 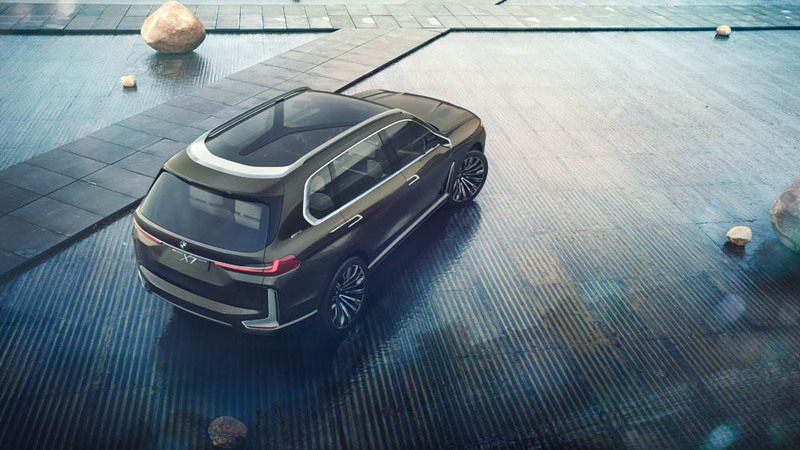 The glass panoramic roof turns the cabin into a light and airy space, with the attachment between the panoramic roof and body extending comfortably to the rear of the second row of seats in the form of a Y structure. This means the passengers in the centre row experience the same sensation of freedom and lightness as those in the front. The dark, Olive-Bronze leather – with discreet gold pigmentation – covering the seat bolsters carries the air of exclusivity through to the finer details. The Smoke White leather adorning the remainder of the seats provides an intriguing contrast. The shell-like backs of the individual seats are likewise trimmed in leather and serve to enhance the high-class, contemporary ambience. The dark shoulder line running underneath the windows traces a continuous horizon throughout the cabin that brings fresh calmness to the bright interior. The selective use of open-pore ash in a dark-stained, matte finish sets the seal on the natural material experience. Matte and polished aluminium elements have likewise been carefully incorporated to further accentuate elegance. 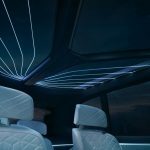 The luxurious sense of spaciousness enjoyed from all seats is subtly reinforced by strands of laser light on the roof and the dynamic ambient and contour lighting. 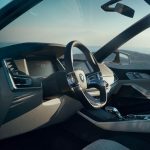 The new BMW design language, featuring amply-sized surfaces and clear edges, gives the instrument panel a “reduced to the essentials”, modern aesthetic. 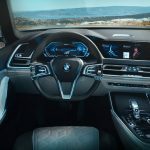 The 12.3-inch instrument cluster screen and central touchscreen information display are sited at close quarters to one another, for a continuous and sophisticated display. A new operating concept allows interactive use of the two displays. Below them, in the centre stack and centre console, the grouping of functions within the clean and tautly chiselled surfaces underscores the minimalist approach. Partially backlit crystal glass in the dark Silver Night shade lends sophisticated flourishes to control elements like the selector lever, iDrive Controller and multifunction buttons on the steering wheel. 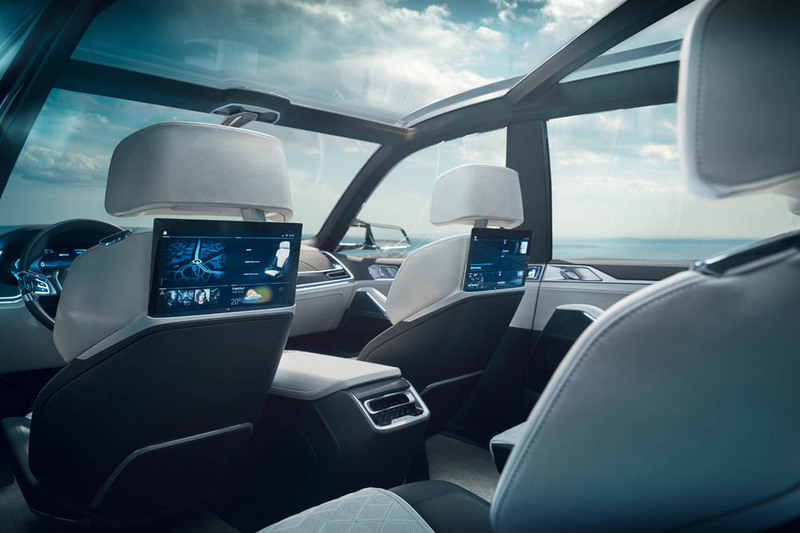 State-of-the-art infotainment is intuitively accessible to second-row passengers at their fingertips through the rear-seat touch screens as well. 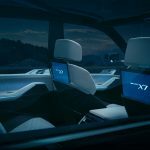 Digital connectivity as a premium form of progressive luxury is fully realised by BMW Connected, which makes seamless infotainment integration possible between the front row and second row. For example, passengers here have access to highly personalised, digital services such as their choice of infotainment or office content, with which they can make their journey more comfortable, more entertaining or more productive. Content can even be shared with others on board. For instance, they can send a track to the car’s music system by touch gesture, forward an interesting article to the next-door display for the person sitting beside them to read, or transfer an address from their email directly to the car’s navigation system. 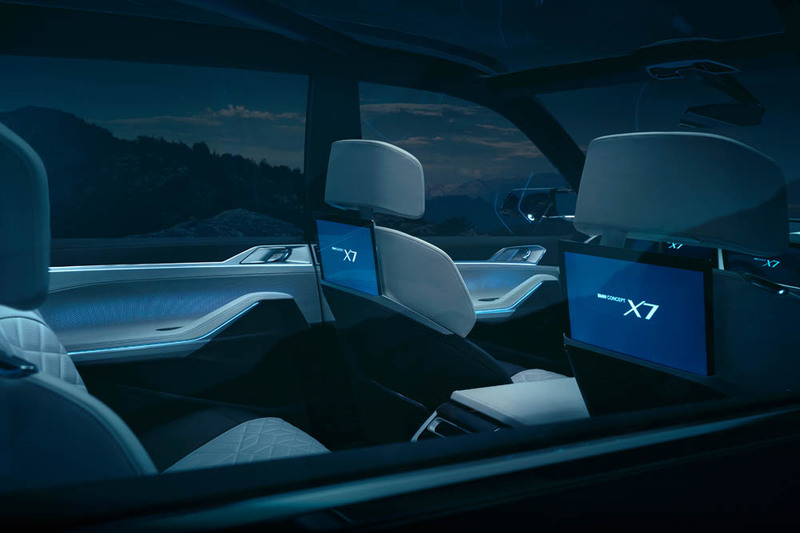 Interactive LED choreography via the doors and instrument panel traces the communication flow between the rear screens and the display at the front of the cabin. 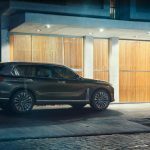 Altogether, the BMW Concept X7 iPerformance demonstrates how it’s perfectly possible to combine large sports activity vehicle with an electrified drivetrain, completed with digital connectivity. 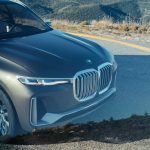 The forthcoming BMW X7 forms part of the largest model offensive in the premium automaker’s history and is slated for launch in 2019.